Well, if you believe the most recent “breaking” reports, the politicians of the Great State of Minnesota have decided to move forward with the construction of the latest and greatest multi-functional sports facility this side of Nicollet Avenue. The expected cost of this facility has ranged between $900 million and $1 billion. No small price tag considering the current state of the state’s financial statement. But, that discussion is neither here nor…anywhere…oddly enough. No, the following paragraphs are going to focus on what will happen next. You see, of that roughly $1 billion price tag, the good people of the State of Minnesota are coughing up approximately $550 million. Though, if you believe the Vikings website, that is a deal. Evidently, residents in other NFL cities are picking 2/3 of the total tab. WHAT A DEAL!!! HOW LUCKY ARE WE!!!! 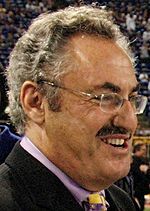 Zygi is all smiles after news of the stadium broke. Let's hope the people of Minnesota are also smiling after it is built. Now that the congratulating is over (oh man, we are such good negotiators, we just agreed to build a billionaire a stadium) and the shovels are ready to be put into the ground, we did put ourselves in a position to do one thing: demand a quality product. Gone should be the days of skimping on Free Agent signings or refraining from cutting loose on a bad signing and moving on to the next one. Think the Vikings WR/DB situation for the past few years. 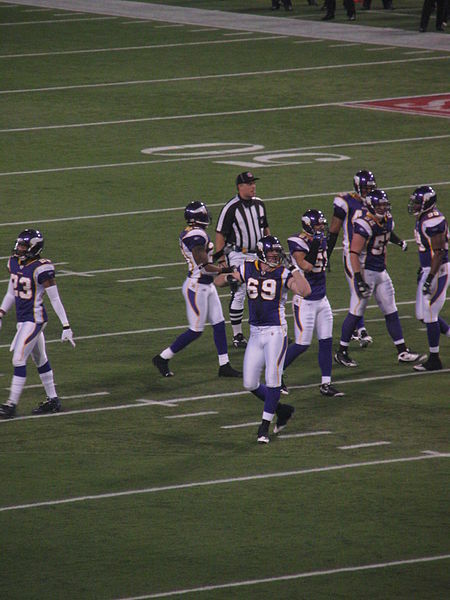 The people ponied up, the Vikings need to make a commitment to winning. Now. To that end, this year’s squad is in desperate need at three critical positions: WR, DB, and OL. It appears as though Mount Kalil is going to be available at No. 3 in this year’s NFL Draft. That covers a gaping OL hole. But, the framework of this stadium deal should mean more than just trying to improve through the draft. Ideally, it means locking down Dwayne Bowe, Vincent Jackson, or one of the other marquee WRs. Cheech Harvin is a dynamic WR, but, he needs a sidekick and either Bowe or VJax would be great. To ensure those flankers get a workout in practice, the state’s splurge on the stadium also means locking down some Chris Cook insurance in the form of one of the following DBs: Cortland Finnigan, Terrell Thomas, or another decent options at DB. And yes, that could even mean locking down dream-killer Tracy Porter. Allen was looking for a sidekick all year last year. Super Mario could be just what the doctor ordered. In an ideal world, Zygi and Co. make a push for Mario Williams. He would be a great compliment to Ten Gallon Allen. With the two of them coming off the edge, they would make even the most pedestrian DBs look like HOFers. You could skip signing Finnegan or the other marquee DBs. While playing in the Metrodome, getting the NFL’s version of Super Mario in purple was a pipe dream, but, now that we are moving next door to Mall America Field at Best Buy Stadium, signing Williams should definitely be in the cards. In fact, while I am it, why stop there? Rumors are swirling about how the Colts are going to release sure-fire HOFer, Peyton Manning. If he is even back to 80%, the Vikes better be serious players in trying to land him. That does not mean a courtesy dinner at Manny’s and a $500.00 gift to the MOA. I want them to pull out all the stops. Have AP wheel down to Manning’s pad in Nawleans and talk him into strapping it on for the purple. Manning would be the perfect mentor to a young Christian Ponder. The Vikes would be instant contenders, especially with the other free agent additions discussed above. Now, before you all get on your email machines and tell me how impossible it would be to sign all of the previously discussed free agents, save your time. I get it. There are financial considerations at play and not ALL of those candidates can be Vikings. BUT, these next few weeks are going to tell a lot about whether the people of Minnesota got duped or if the Vikes are serious about a quality product on the quality field that we are building them. It is that commitment to seriously being involved in the conversation that we, as the bank, need to see. Without that commitment, we are just like the other sports-hungry cities that got duped into paying for a new stadium. Your move Wilf. This entry was posted in Home, Vikes v. Pack and tagged 2012 NFL Draft, Adrian Peterson, Best Buy, Chris Cook, Christan Ponder, Cortland Finnigan, Dwayne Bowe, Jared Allen, Mall of America, Mario Williams, Minnesota, Minnesota Vikings, Percy Harvin, Peyton Manning, Terrell Thomas, Vincent Jackson, Zygi Wilf. Bookmark the permalink.